However, if you ARE a fan of the series, then this is the movie for you! Rainmaker's handling of weapons, humor, planets, and characters are spot on. Even though most of the weapons are from Tools of Destruction, there is still enough variety to keep the action fresh and exciting. 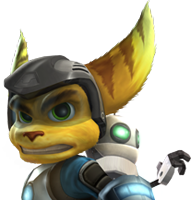 Ratchet, voiced by James Arnold Taylor, is bit more bubbly and excitable than in the games. But as he progresses through the film, he learns an important lesson of what it means to be hero. Clank, voiced by David Kaye, is a bit more curious and lighthearted. He finds himself getting into trouble no matter where he goes. 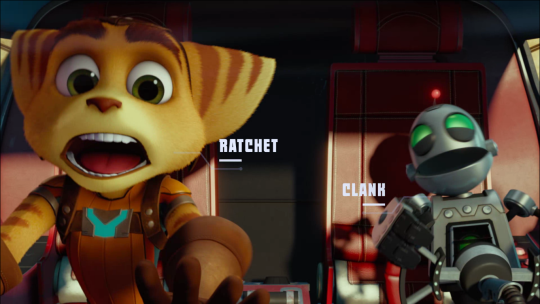 Though he stays with Ratchet for the majority of the film, a new character named "Elaris," voiced by Rosiario Dawson bonds with Clank during a few scenes. 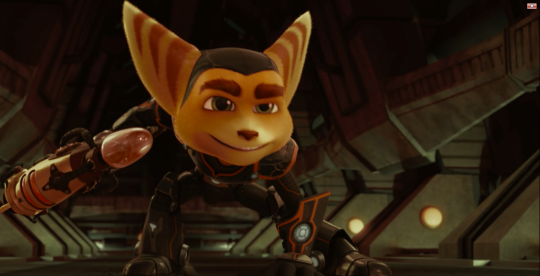 However, Ratchet and Clank's friendship is definitely displayed throughout the movie. The A-list cast voice all of their roles quite well, but none better than John Goodman, the voice of Grimroth. Having a mentor mechanic for Ratchet to talk to really helped progress the story along. Paul Giamatti, the voice of Drek, had the most screen time of the five. Bella Throne also reprized her voice as Cora in the Ps4 game. Sly Stallone, however, seemed a bit unnecessary for Victor, a character who shoots more than he speaks. But there is a reference to "the rock" if you can catch it in time. Out of all the characters, none pleased the audience more than Dr. Nefarious! Armin Shimmerman's exceptional voice acting brought this villian to life–in more ways than one. Nefarious has some history with Captain Qwark, who's voiced by Jim Ward. Qwark exists mostly for humor bits and animation gags, but his share of screen time almost outweighs Ratchet's or Clank's. In terms of story composition, it feels very rushed. It also combines plot lines from Star Wars, the Incredibles, and Bolt. Granted this is what the very first RaC game's plot conveyed, but unless Ratchet stops by Grim's garage, there really isn't any moments for the audience to take in the events. 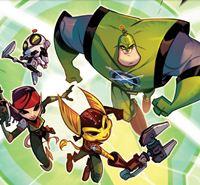 There's so many new characters, that Ratchet and Clank start to feel like extras in their own film. The good news is that the movie is filled with tons of fan-service. Whether it be a cameo, a weapon, or a mention of an old character, it is clear that this movie was created by fans for fans…only fans. I saw kids dressed up as lombaxes in the theater, so if it's any indication, this movie will help sell the already-successful Ps4 game. While this movie finally breaks the curse of bad video games movies, it's not "Pixar-perfect." Only fans will truly appreciate this film for what it is, while non-fans will leave the theater confused. A sequel is possible, but unlikely. Rainmaker is currently working on Surf's Up 2 and Sly Cooper, so don't expect a "Ratchet and Clank: 2" any time soon. Still, Insomniac Games could definitely make another Ps4 game–the new set of characters work quite well, and would be very welcome in a new game. My only advice is this: stay to the end of the credits…you'll be glad you did. A review for the PS4 game will be coming soon. Glad to hear this movie breaks the video game movie curse. Gonna watch this movie ASAP, might come out next or two weeks later here! "Glad to hear this movie breaks the video game movie curse. Gonna watch this movie ASAP, might come out next or two weeks later here!" The movie breaks the curse for us, the fans, but not for the people who watched the movie and doesn't know anything about the games ! /* SPOILER */. What I hated though were the meta-jokes. There were a LOT. Seriously we could do without a lot of them. They could be easily turned into dark humour (like that save Angela one on Aranos "And….?" "She does a terrible cat impression? "We have to save her!" . What I was really waiting from the movie was the humour. And while there was a lot, most people at the cinema I went to didn't laugh. Also, I wanted a lot more of Drek's planet. These 10 seconds were not enough. They made it so beautiful and they showed such little that I would prefer not to see a bit than stay curious about the rest! Another thing is the destroyment of Novalis. While I felt sad as the heroes did I though about the rest of the people there. Did they feel sad or just not interested. They should have at least shown the population leaving their houses and not just the ship flying above the planet. They just didn't build enough drama for the scene. 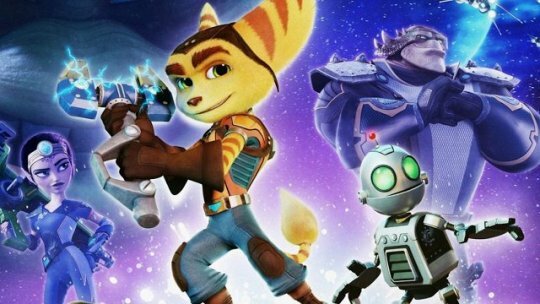 The ending scene between Ratchet and Clank could have ended differently. This one looked like Acit. Clank looked like he made a sacrifise and stayed with Ratchet and it didn't show any purpose. We could still see his hand broken by trying to lift the teleporter and ratchet trying to fix him and so creating a cycle like how ratchet fixed him in the both the begining and ending. The first ending scene was perfect. EDIT: By the way the Blarg that scream and hits button when the Deplanetizer gets destabilized is acting and sounds a lot like Skrunch. "when I would see at least the scene where ratchet returns to grim dejected and sad and then come the rangers think I'd be happy "
If I can find it for you, I will–it's a really good scene "
You have found that scene ?